In The River, Beverly Lewis tells the heartwarming story of Tilly and Ruth, two sisters from with a shared Amish heritage they long since left behind them. But when they return to the picturesque Amish homelands of Lancaster County, the past collides with the present and threatens to drastically change each sister’s future life in a tale that will capture your emotions and imagination. Both Ruth and Tilly are hiding the truth of their unresolved relationships. Tilly has married an Englisher - an outsider from the close-knit Amish community, but Ruth has remained single. INdependent as she is, Ruth hasn't entirely abandoned the memory of her Amish lover and his doomed courtship. Now, back among the Plain folk in their Eden Valley home, they are face to face with their past feelings, thoughts and actions. And through the centre of this reunion of hearts flows a darkness: the dreaded rather which, long ago swept away the third of the sister, five year-old Anna. 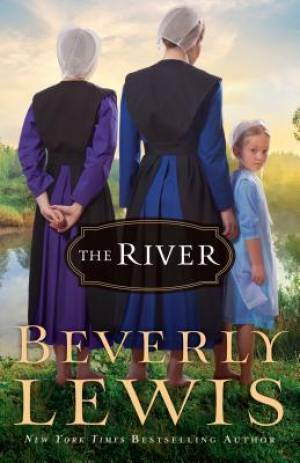 The River by Beverly Lewis was published by Baker Publishing Group in October 2014 and is our 9499th best seller. The ISBN for The River is 9780764212451. Be the first to review The River! Got a question? No problem! Just click here to ask us about The River. In The River, Beverly Lewis delivers everything you look for in Amish fiction with a heartwarming tale of faith and family drama. "Vivid imagery captures the reader’s attention as Lewis masterfully tugs at their heart-strings." - RT Book Reviews on Beverly Lewis' book, The Last Bride. "No one does Amish-based inspirationals better than Lewis." - Booklist. "Beverly Lewis has come up with a new magic formula for producing bestselling romance novels." - Time Magazine. Beverly Lewis was born in the heart of Pennsylvania Dutch country and is now the bestselling author of more than ninety books. Her stories have been published in eleven languages worldwide. A keen interest in her mother’s Plain heritage has inspired Beverly to write many Amish-related novels, beginning with book and later the movie, The Shunning.